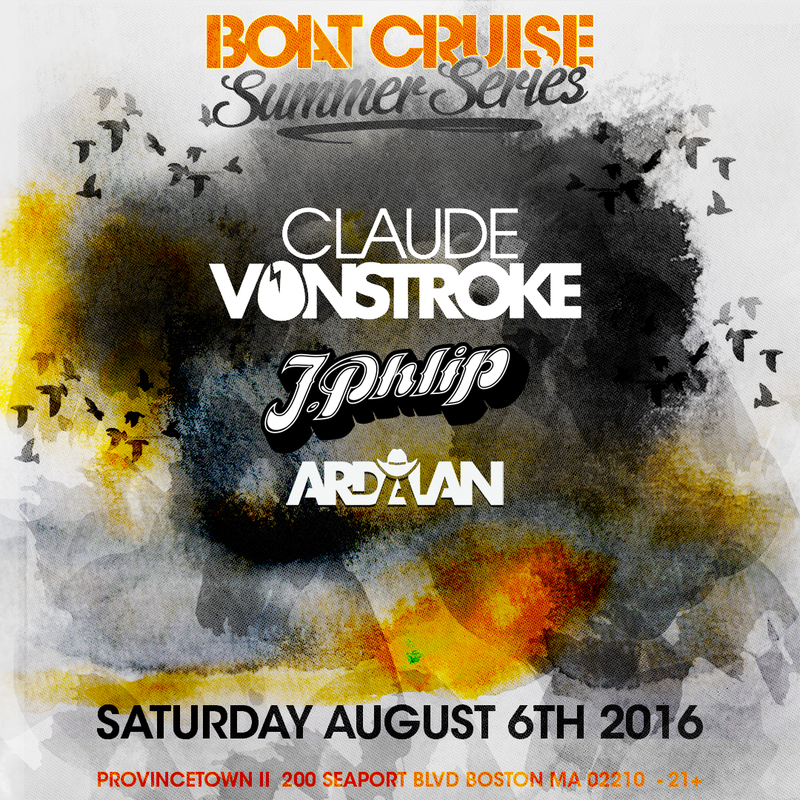 Setting sail on the Boat Cruise Summer Series with Claude VonStroke on Tablelist? Awesome! Here’s everything you need to know about the DIRTYBIRD artist and the event. JUST ANNOUNCED: Dirtybird is the word! On August 6, please welcome the boss himself, Claude VonStroke, along with J. Phlip and Ardalan. VonStroke is just as relaxed in his home studio building beats as he is dropping massive underground records in a room filled by thousands. DJ-wise, his relentless touring of every major city, festival and basement after-party around the world. Sonically, VonStroke has released three original artist albums, a remix album and several high profile mix and remix compilations. Highlights include working with and on records for Bootsy Collins, Rihanna, Disclosure and Green Velvet as well as a few number #1 & #2 hits on Beatport. Most importantly, VonStroke has kept it original, fun and funky. A lot of his success can be attributed to a good attitude. Claude does not scowl and look mean while he DJs. He does not pretend to know everything and he truly loves his fans. He is grateful to be curating, creating and performing music for a living and he knows that the reason people go to parties is to shake their booty and have fun. Catch him play at numerous festivals, clubs or even better at his legendary DIRTYBIRD BBQ series of outdoor events. Departs Dock: 7:00PM on the DOT! The boat will leave people behind. Be there early. There is no particular dress code for the Boat Cruise Summer Series. We suggest dressing fun and in summer attire, but bringing a jacket because it can get cold on the water. Check the weather for rain and bring gear if it might rain- the boat will go RAIN OR SHINE! For girls, we suggest flats rather than heels so you can navigate around the boat more easily. Is my ticket good for the after party? If you have a COMBO ticket, yes it is good for the after party. If you bought just a Boat Cruise ticket, you can purchase the after party ticket on Tablelist. Can I get a ticket for my friend? Yes: it is okay if you have both your ticket and your friends ticket on your app, they can both be scanned upon arrival. You can text a screenshot to them as well! It does not matter that your name is on it if your friend wants to use it. You can find them in the Manage tab on your app and then Highlight admissions. Should I bring cash on the boat? YES! The boat has a CASH ONLY bar- no credit cards will be accepted. There are ATMs on the boat, but the ATM will charge a convince fee. We advise bringing cash for your drinks. What should I expect at the security check point? Security is very tight on the boat. First, your ID will be checked. All boat cruises are strictly 21+, no exceptions. Then, your bags, purses or pockets may be checked. No weapons, drugs, drinks or other contraband are allowed. Professional photography equipment will not be allowed. If you are overly intoxicated, you may be turned away. What are the set times for the DJs? Headling DJs will perform on the top deck, and set times may vary. There will be an opener on the top deck and a DJ performing on the middle deck as well. 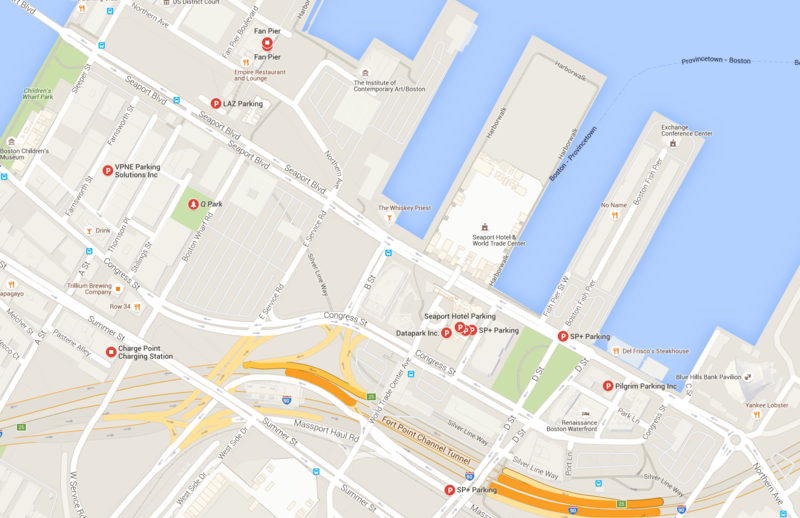 There are multiple lots in the Seaport for parking. Rates will be as specified by the Parking Garage or Lot.